Edelmeister is a beer inspired by the traditional method of brewing which derives from classic beer making. It represents a fully European style, well known and appreciated by consumers all over the world. We deliver the best that the beer world has to offer, we brew it with a sense of mission that is appreciation for the passion and work of people. A success achieved, completed work, moment of rest or meeting after work - that is the best time to choose Edelmeister. 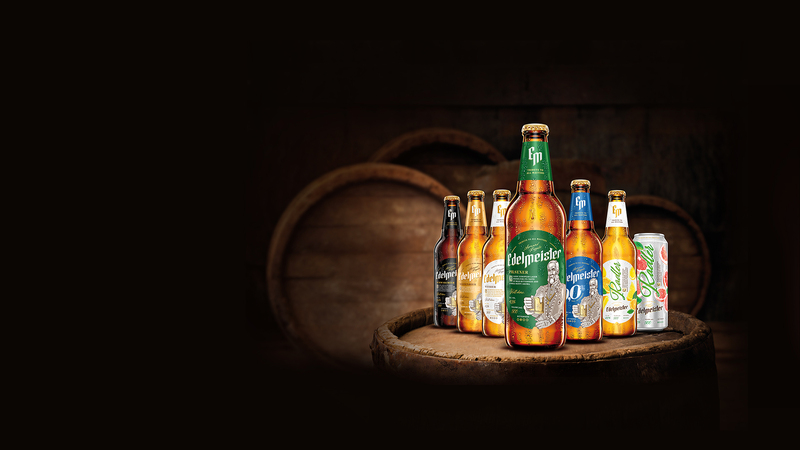 We draw from the age-old traditions of brewers. 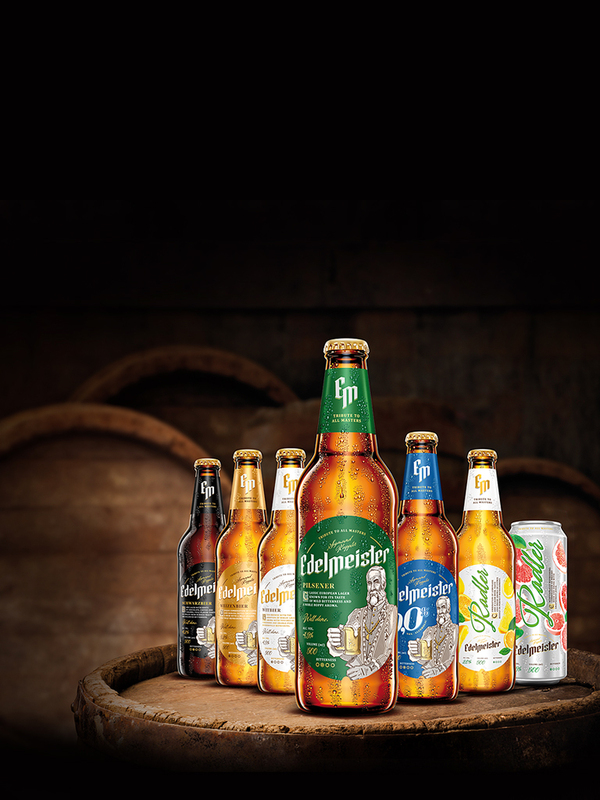 Each recipe has been carefully composed to present the well-known European style of beer. From the pungent taste of Pilsener through smooth Waizenbeer to full chocolate and coffee Schwarzbeer. Full palette. LASSIC EUROPEAN LAGER KNOWN FOR ITS TASTE OF MILD BITTERNESS AND A NOBLE HOPPY AROMA. HE FULL TASTE OF FINE LAGER BUT WITH NO ALCOHOL. PURE MALT. EER BREWED WITH THE ADDITION OF WHEAT. GRAINY AROMA WITH TOUCHES OF CORIANDER AND ORANGE PEEL. WONDERFULLY REFRESHING. ARK LAGER WITH HINTS OF CHOCOLATE, COFFEE AND CARAMEL. FULL FLAVOR TAKES ITS ORIGIN FROM BURNED MALTS AND BALANCED BITTERNESS. OMBINATION OF LEMONADE AND A LAGER BEER. TASTE AND FRESH AROMA OF CITRUS RESULT IN PERFECT REFRESHMENT. XCEPTIONALLY REFRESHING COMBINATION OF BRIGHT BEER AND DRINK WITH GRAPEFRUIT JUICE. Edelmeister is consequence and precision in all things, also in the selection of ingredients. 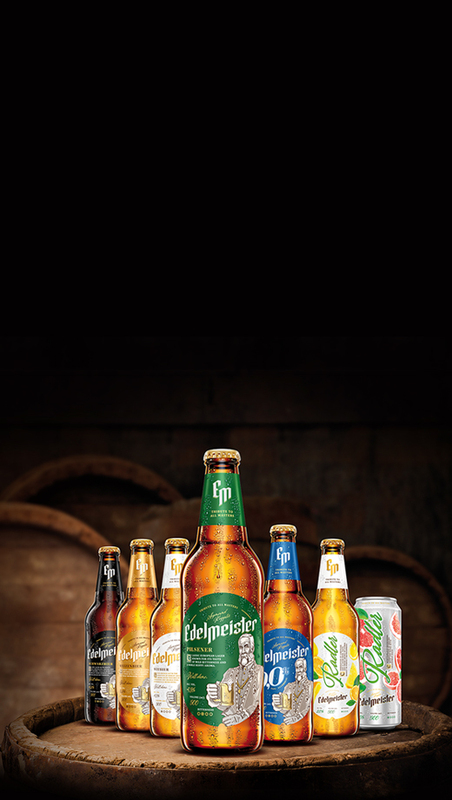 Its exceptional character is ensured by a unique recipe based on crystal clear water, a refined variety of hops and carefully selected malt.